Reclaiming Your Sacred Path shares how to renew your autonomous relationship with Spirit using practical tools to define your heart-centered path, sustain your momentum, and build resilience along the way. Author Jon Anastasio leads the path-seeker to find their own way back to their unique connection with Spirit by using divination, manifestation, and various spiritual healing modalities to reconnect with a spiritual path. Whether your current path is not fulfilling, or you are stalled in your spiritual journey, Reclaiming Your Sacred Path will help you confirm your values, create a vision for your spiritual life, obtain spiritual guidance, and turn your vision into practical steps forward. 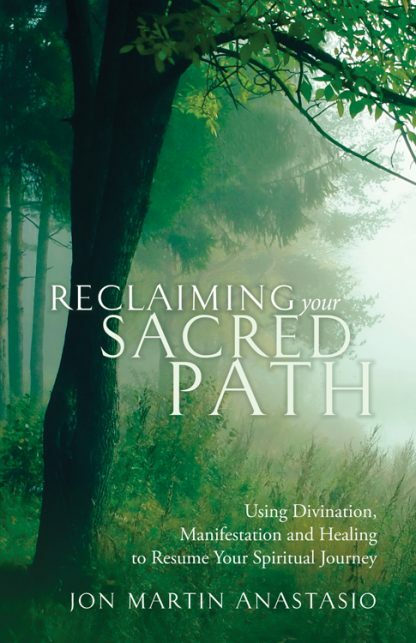 Reclaiming Your Sacred Path is the first step in a journey to recovering the spiritual experience so many of us have lost to the daily grind of life; and its greatest value comes not just in the cornucopia of teachings Jon Anastasio shares, but in its power of rejuvenation that can be tapped into anytime you feel as though you are losing your way.